We love beauty products as much as the next girl but sometimes we just feel lost when it comes to picking out the right moisturizer or foundation. There are so many choices out there that claim to do it all, so how would you know what actually does what it says? We decided to stop guessing and went straight to the source to get the answers. We tracked down our long time friend and Sephora Pro Makeup Artist, Helen Phillips, and asked her a few questions about what products she loves and how in just a few short years she is at the top of her industry. 1. Becoming a Sephora Pro MakeUp artist must be difficult to achieve, can you tell us what the process is like and how long it took you to get to where you are now? Every two years Sephora hosted an artistry competition where you could try-out to be on the Sephora PRO Team, Sephora’s top makeup artists selected for their skill, creativity, and ability to inspire through education. Of my 5 years with Sephora, I’m proud to say that I’ve tried out for the team and made it all three times! This past year marked the first year that the PRO team would transition to a permanent team, ending the biennial try-outs. For the 2015 PRO Team try-outs, I competed with over 800 amazing artists for 12 coveted spots – and it was no easy feat! The challenges range from “no makeup” looks to avant-garde looks and were judged by world renowned makeup artists and industry creatives. It was an exhilarating (and sometimes nail-biting!) process that I’ll always remember. The variance! I love that every day is different and there’s always something exciting on the horizon. I get antsy easily and live for the constant change. One day I’ll be at Sephora in LA shooting a segment for Access Hollywood and a few days later I’m in New York on an editorial shoot sharing my favorite beauty tips and tricks. I travel every week to help with store trainings, store events, product development, and press opportunities. Just last week I was in San Francisco working with our SEPHORA + PANTONE Color IQ technology and soon I’ll be in Paris consulting on shades of foundation! It can seem like quite the whirlwind, but I wouldn’t have it any other way – I love what I do! 3. Who are some of the people that have inspired you throughout your career? Although I didn’t even know I could paint until college, I’ve always had an appreciation for art. Some makeup artists that I admire are Aaron DeMey, Val Garland, and Diane Kendal – working with Sephora has allowed me the opportunity to work with each of them and it’s surreal every time. 4. What is the most important beauty advise you can give to women? Invest in good skincare and get plenty of sleep – it truly makes a difference! The most common mistake I see in makeup application is that people are not spending enough time on their complexion – they aren’t prepping the skin enough or using the right tools for a smooth finish. Your complexion is the canvas for your beauty look and it’s important to take the time to prep the skin before applying foundation to ensure that it will look flawless, even, and last all night. 5. What are some of your favorite products in your own personal makeup kit? I have a few must-haves that I use for almost every look I do on myself and my clients. 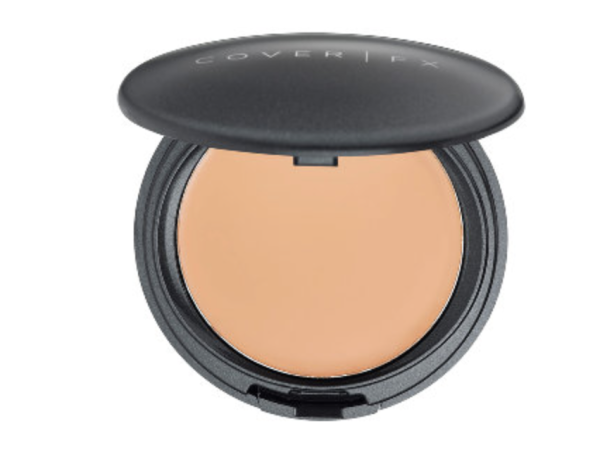 I am in love with the Cover FX Total Cover Cream Foundation ($42, Sephora) – I spot conceal with it during the day and lightly apply it as foundation when needed. 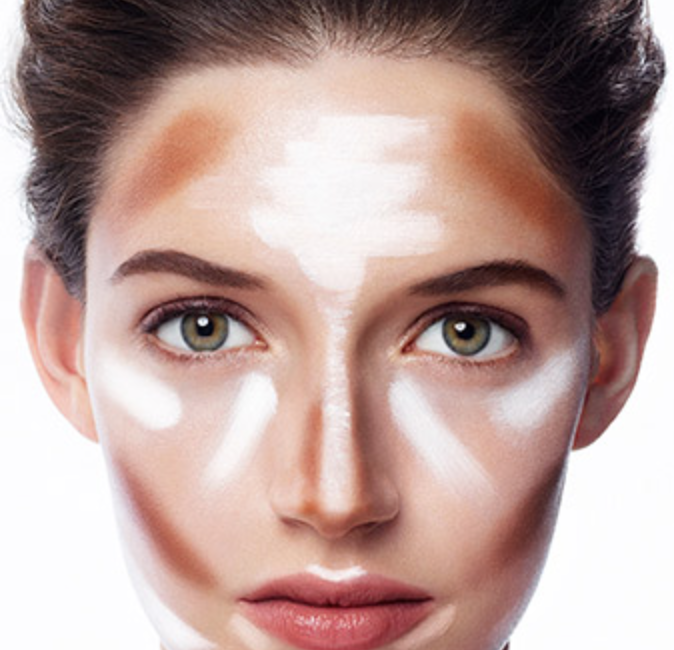 Becca Shimmering Skin Perfector ($41, Sephora) is an incredible highlighter – I like to mix it with moisturizer and to achieve a natural looking radiance. I love multitaskers! The Stila Convertible Color in Peony ($25, Sephora) can be used as a creamy, sheer blush and also doubles as a lipstick – perfect for on-the-go! The Marc Jacobs Beauty O!Mega Lash Volumizing Mascara is my holy grail when it comes to mascaras – it gives my lashes volume and length that lasts all day. 6. If you could recommend a few products for us to add to our beauty regimen what would they be and why? Liquid highlighters! They are so versatile and make your skin look awake and youthful. I also love a brow wax, like the Sephora Collection Brow Freeze ($12, Sephora) – it isn’t sticky and helps define and set your natural brows. 7. What is your favorite concealer? I live for the Givenchy Mister Light Instant Light Corrective Pen ($35, Sephora). I use this as both a concealer and highlighter – it’s a light reflector and erases signs of fatigue and dark spots under the eyes. If you can’t get a great night’s sleep then you can fake it with this guy! 8. As we get older, we pay closer attention to our skin and what we are putting on it. What are your favorite anti-aging products and what tips would you give women to help keep their skin looking young and youthful? Our eyes and lips are the most delicate areas of the face and the first features to show dehydration and age – I can’t stress how important it is to moisturize both! I love the Sephora Collection Total Age Defy Cream for Eyes & Lips ($26, Sephora). This two-in-one cream reduces the appearance of wrinkles, bags, and circles around the eye area and redefines the contour of lips. I also love using “essences” – a new trend in skincare from Korea that locks in moisture, while firming and calming the skin. 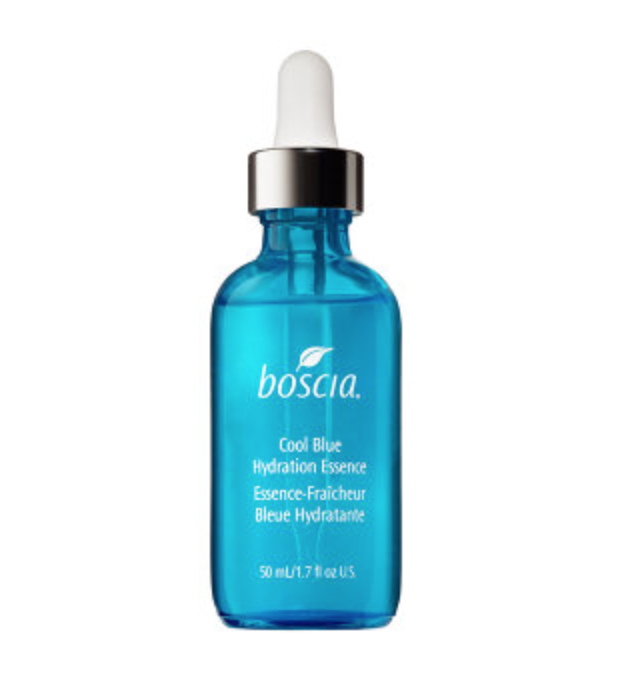 I love the Boscia Cool Blue Hydration Essence ($48) because it removes signs of redness, leaves skin moisturized and firm, and has a lovely cooling effect – the perfect product to use before makeup application. Another quick way to prep your skin is with a face mask – I particularly like sheet masks from Sephora Collection ($6) and SK-II ($95), which boost radiance and moisture and give luminosity to the skin in minutes without the mess or hassle! 9. We have heard a lot about high-end moisturizers. Is there a luxury skincare product you have tried and was it worth the price tag? I am totally hooked on the AmorePacific Luminous Effect Brightening Masque ($120, Sephora) – a micro-fiber mask with a blend of Asian botanicals that help enhance the natural contours of the face and maximize brightness. I’m very fortunate to be able to try everything Sephora has in store. The efficacy of everything we carry at Sephora is thoroughly checked not just by the brand but by us! If a product doesn’t live up to the claims then Sephora won’t carry it. At Sephora, we strive to find out what’s new and different across the world in skincare and bring the best of the best to our clients. 10. What makeup trends should we watch out for this spring? Bold beauty is back this Spring! It’s a big change from the past few years where natural makeup dominated the runways. This season we’re seeing very saturated lip colors and bright liners and shadows making a comeback. Conversely, sheer and natural nail colors are very popular this season. I think it’s a nice switch and balance and I’m excited to see what spring has in store. Sephora is the official beauty sponsor at Coachella this year and we’ll have a tent on the festival grounds where festival-goers can come touch-up or transform their beauty look at a DIY Beauty Bar, where they can play with trends like contouring, ombre lips, metallic temporary tattoos, and face and body art. I can’t wait to see some bold looks out in the desert! Have a question for Helen? Leave a comment here and we will get you the answer next week on our #52WTFWednesdays post. I would love to hear more about the “no makeup” look mentioned in #1. How do you apply a no makeup look (steps), what products do you use and pics!!! Thank Sarah and Helen. Awesome blog. I am so grateful to this website. Thanks a lot for all convenience. I saw on previous days that productbeach.com is similar to this blog which is largest shopping support desk for consumers of all countries. Be the top gainer on any shopping . You are capable to gather information all types of products review from productbeach.com .